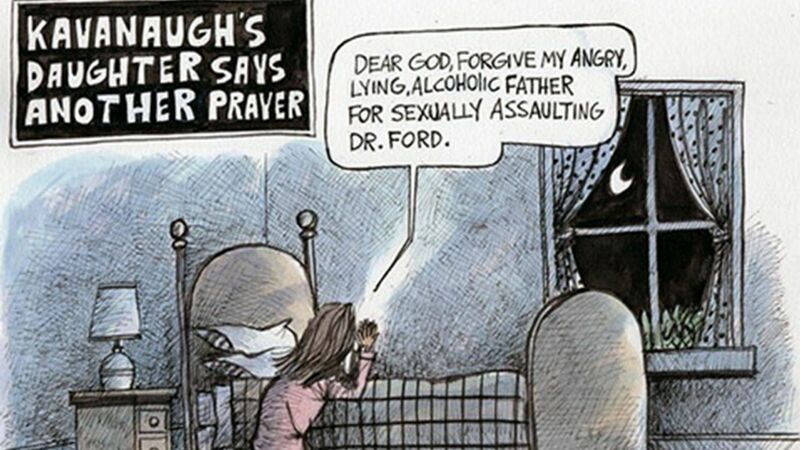 has received multiple death threats in connection with his recent cartoon depicting the praying 10-year-old daughter of U.S. Supreme Court nominee Brett Kavanaugh. The drawing was designed to “turn the tables” on a comment made by Kavanaugh on Thursday in front of the Senate Judicial Committee. The Illinois Times, a Springfield alternative newspaper, became involved as Chris had include their name below his signature. Illinois Times hadn’t published the cartoon online or in print and hadn’t even considered whether to use it, said IT editor Fletcher Farrar. Many of the comments directed at Illinois Times contained vulgarities and threats, Ownbey said. “One said my entire staff should be lined up and shot,” she said. Some comments referenced the June shooting deaths of five staff members at the Capitol Gazette newspaper in Annapolis, Maryland, Ownbey said. Read the full State Register-Journal story. The cartoon has attracted widespread attention in the conservative press, and among some well-known personalities. Among those with religious objections to the cartoon is Franklin Graham. [W]ouldn’t you know that the God-haters would use this girl’s prayers to mock her, her faith, and her father. “I believe in the power of prayer. I would encourage everyone to continue to pray for this confirmation. Our nation is in trouble – and the battle for the Supreme Court is being fought in full view of all Americans. Pray that God’s will be done,” he wrote. There was only one voice on the right. In 1995, I was it. There were some local talk shows, but CNN’s the only cable out there. There’s no Fox News. There’s no blogosphere. There’s no alternative media. There aren’t really any conservative websites. It’s the same cartoonist, 1995 to today. It’s just vile. It’s filthy. It’s dirty. It’s disgusting. It’s despicable. And it’s sick. That story is via MSN’s The Wrap. 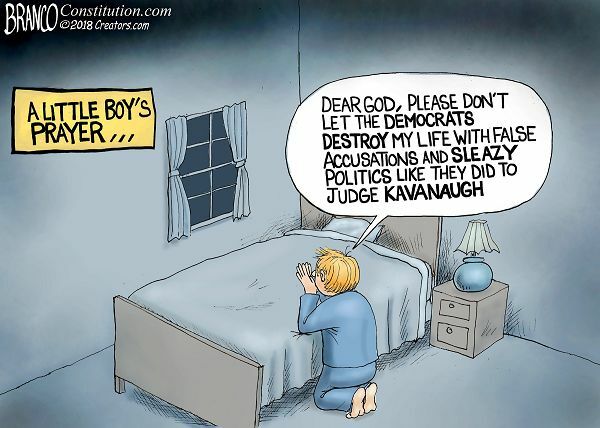 Conservative editorial cartoonist A. F. Branco has responded with his own praying child. 21 queries in 0.190 seconds.